Australia’s Paracanoe team has kicked-off the international season in style by taking home the inaugural “Paracanoe Ashes” trophy following a great day of racing against the British team in Nottingham on Saturday, 12 May 2018. 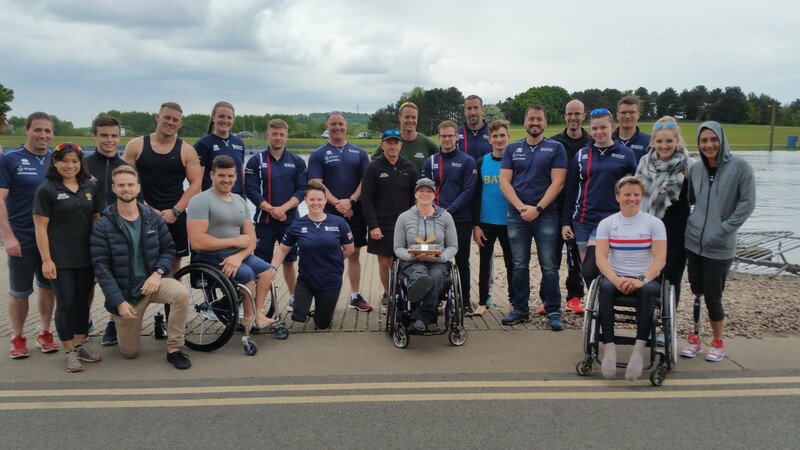 The May Regatta against the British team washeld at the National Water Sports Centre in Nottingham and followed a week-long training camp at Home Pierrepon in preparation for the ICF Paracanoe World Cup 1 in Szeged, Hungary on 18 – 20 May. Australia’s Rio 2017 Paralympic gold medallist and current World Champion Curtis McGrath (QLD) claimed two race victories with quick times of 43.36 and 43.37 in the men’s KL2 200m. In a duel between two podium athletes from Paracanoe’s Paralympic debut at the Rio 2016 Games, Britain’s Nick Beighton, who claimed the bronze medal two years ago in Rio, finished in the runner-up spot, just a second and a half behind McGrath in both races. Speaking after the second race Curtis Mc Grath said: “It’s always great having somebody pushing you along and nice to have some competition, Nick is one of the world’s best and it would be nice to see him stepping up a few more notches on the podium. In the men’s VL3 200m Curtis McGrath also completed a clean sweep of four victories, comfortably taking both races. Australian Rio 2016 athlete Dylan Littlehales (NSW) took the victory in round one of the men’s KL3 200m event with a time of 41.85. The 18-year-old was pushed all the way by Rob Oliver and Jonny Young with the British pair finishing close behind with less than half a second separating the three athletes. In the women’s KL3 200m World Champion and Rio 2016 silver medallist Amanda Reynolds (VIC) claimed the two victories over British athlete Chelsey Dixon. In the Va’a events, which have been added to the Tokyo 2020 paracanoe programme, Paralympic medallist and current World Champion Susan Seipel (QLD) finished second to Britian’s Paralympic, World and European Champion Emma Wiggs. Wiggs also won the women’s KL2 200m with Seipel finishing fourth in a high calibre field that saw European silver medallist Charlotte Henshaw take second place and World silver medallist Nikki Paterson finishing third. “It’s been brilliant to have the Australian team over here and have a different vibe around the place and really just build on that natural competitiveness between the two countries. It’s great to have someone different to race against and to have a kind of edge to the competition which was really good,” Wiggs said about racing the Australian team on home waters. The wins for McGrath, alongside victories for Dylan Littlehales and Amanda Reynolds also ensured Australia claimed the inaugural Paracanoe ‘Ashes’ trophy, presented by Scott Simon – British Canoeing’s Paracanoe Head Coach. 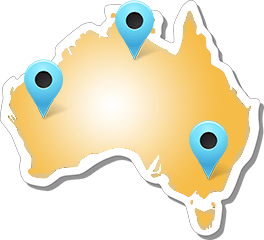 The Australian Paracanoe team will next be competing at the ICF Sprint World Cup 1, taking place in Szeged, Hungary on 18 -20 May, where they will be joined by the Olympic class Australian sprint team.